The Food & Hotel China (FHC) 2018 expo is just around the corner. 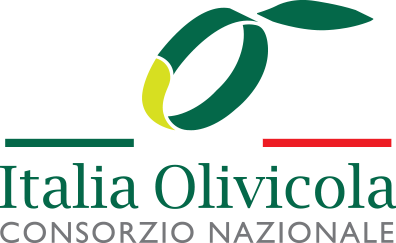 With the goal of promoting European extra virgin olive oil in Mainland China and Taiwan, Italia Olivicola and UNAPOL, the two main consortia of Italian olive growers, are glad to announce they will be participating at the upcoming expo in Shanghai from 13 to 15 November. This upcoming expo marks the second consecutive year the two consortia have exhibited in the FHC China expo – considered as the annual landmark event by participants in the industries. Uniting exhibitors and trade visitors from the local catering, hospitality and retail industries, the FHC Shanghai expo provides a great opportunity for the two consortia to meet with local operators and industry leaders and further spread the culture of olive oil in the region. Since the TAICHI project was founded by the EU in 2017, the two consortia have been actively promoting the awareness and use of quality European olive oil, especially extra virgin olive oil, in Mainland China and Taiwan, including exhibiting at various key tradeshows in the region and connecting with local audiences through a range of social media campaigns. With the local olive oil sectors in Mainland China and Taiwan in mind, a press conference will be held on the first day of FHC Shanghai expo, featuring keynote speeches and presentations from the two Italian consortia to educate local operators and opinion leaders on the latest developments of the extra virgin olive oil industry. Topics include European standards, quality control and traceability, as well as other common concerns in the local olive oil markets. Local press members are also cordially invited to take part in the press conference where they will get to conduct on-site interviews with EU experts, olive oil operators, consumers, opinion leaders from the region. Announcement for the first prize winner will be made on OurOliveOil website (www.ouroliveoil.com) on Nov 16, 2018. The winner will be notified by the organizer through email. Practical Guide: Where to find us? How to enter OurOliveOil lucky draw? 2. Download and install “OurOliveOil" app. 3. Open the installed “OurOliveOil” app. Fill in the user's email address, and click “pre-register to our loyalty program”. 4. Any visitor who has completed the above steps can enter our lucky draw. Prizes include a free 5-day trip to Italy and Greece and 500ml and 100ml extra virgin olive oil bottles. 5. The draw for the first-prize winner will be conducted in our European premises on November 16, 2018 and the first prize winner will be announced on the same day on OurOliveOil website (www.ouroliveoil.com). The winner will also be notified by the organizer through email. Join us at Shanghai New International Expo Centre (SNIEC), 2nd floor, Booth n. N4CA06, from November 13-15, 2018!